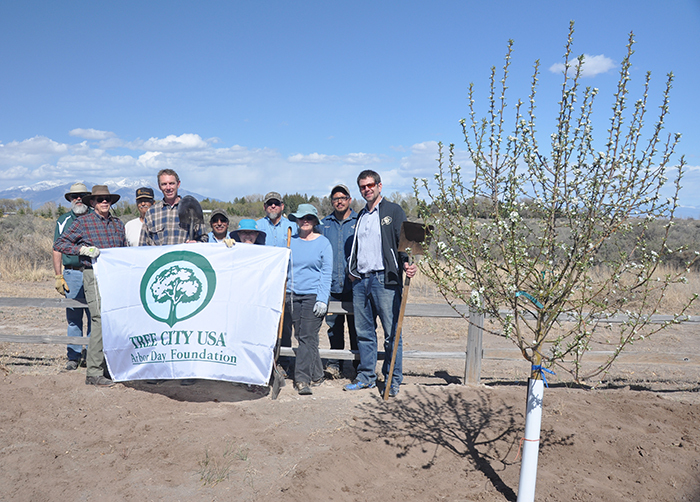 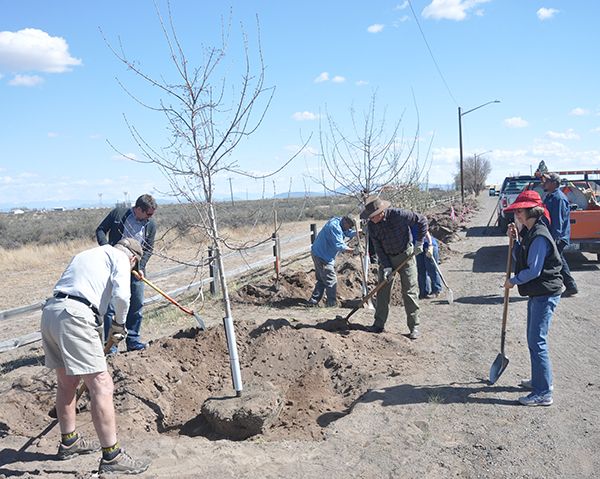 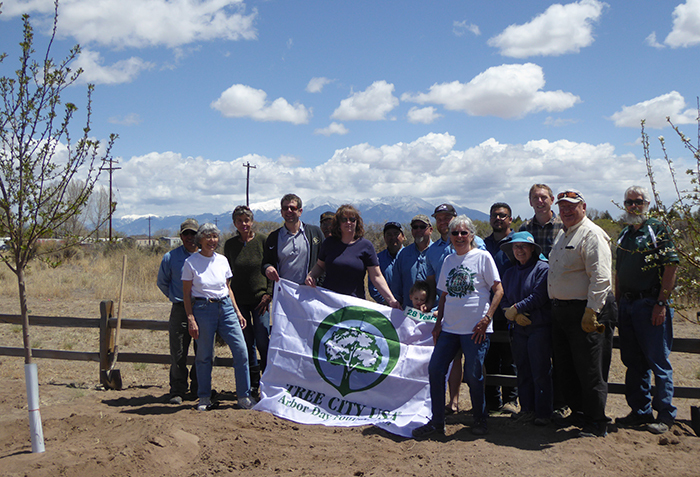 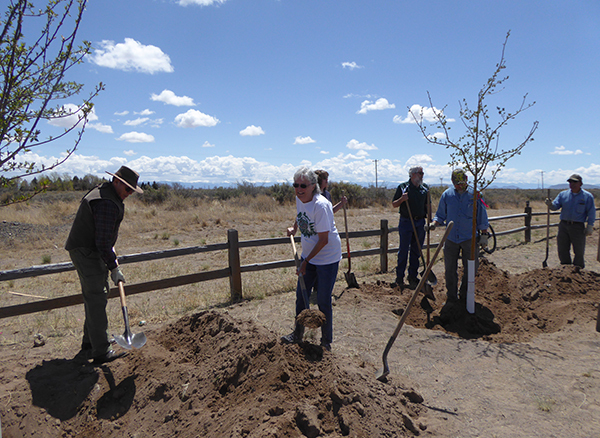 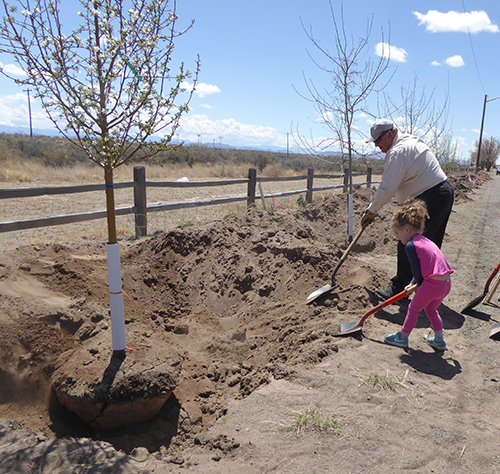 "Greening Alamosa's Airport Gateway Corridor Under Powerlines"
18 Volunteers and the Alamosa Park Crew planted 20 trees under powerlines along the main street from the airport to downtown during 2 planting sessions. 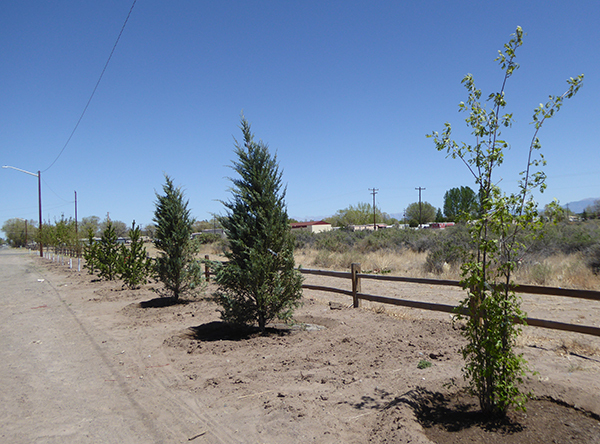 Trees were mulched after the planting was over and will be encircled with wire mesh to prevent deer from enjoying them too much. 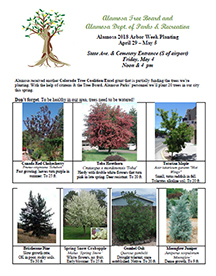 Download a copy of the Alamosa Tree Board Brochure: Learn how to select the right tree, plant it correctly in the right place, and properly maintain your tree. 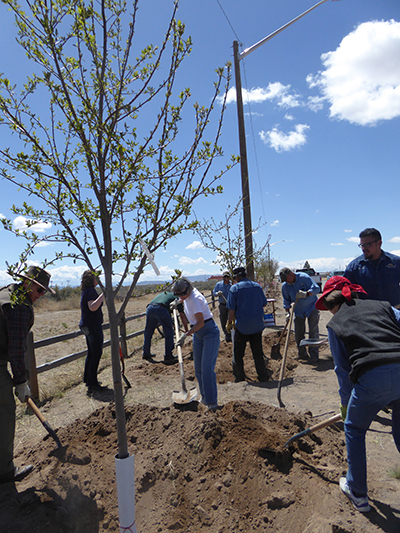 Produced by the Alamosa Tree Board, the brochure was supported by information from the Colorado State Forest Service and print funding from the Colorado Tree Coalition.